This 16 X 20 painting has been in my collection for several years. The photo, unfortunately, does not do it justice. 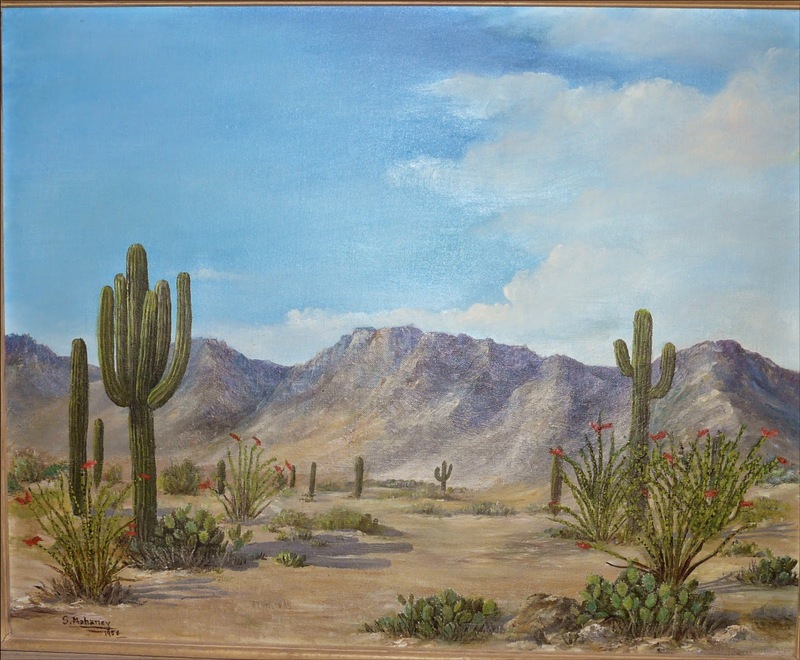 I'm guessing, based on the subject, that S. Mahaney may have been painting in the southwest. Of course, he or she might have been working from a photograph, but the details in the cacti suggest to me first hand knowledge. If you have any information on the artist, I'd appreciate your comment.